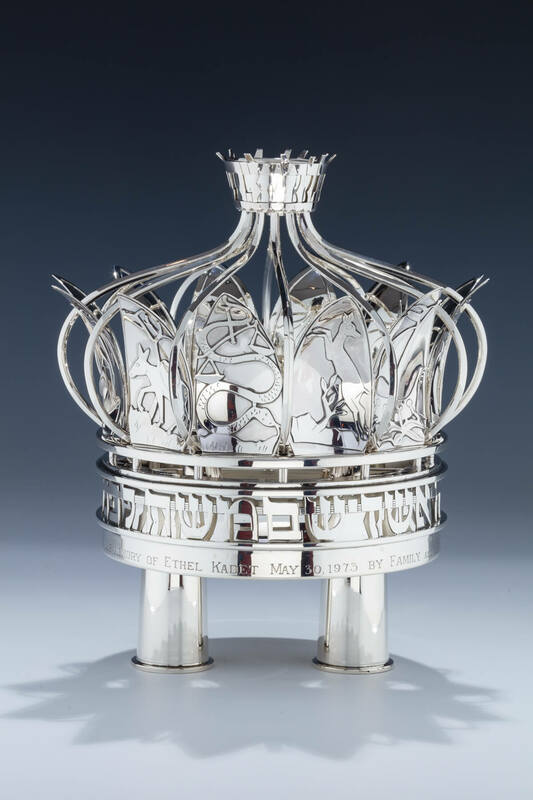 A STERLING SILVER TORAH CROWN AND TORAH SHIELD. Portugal, 1973. The crown with movable staves. 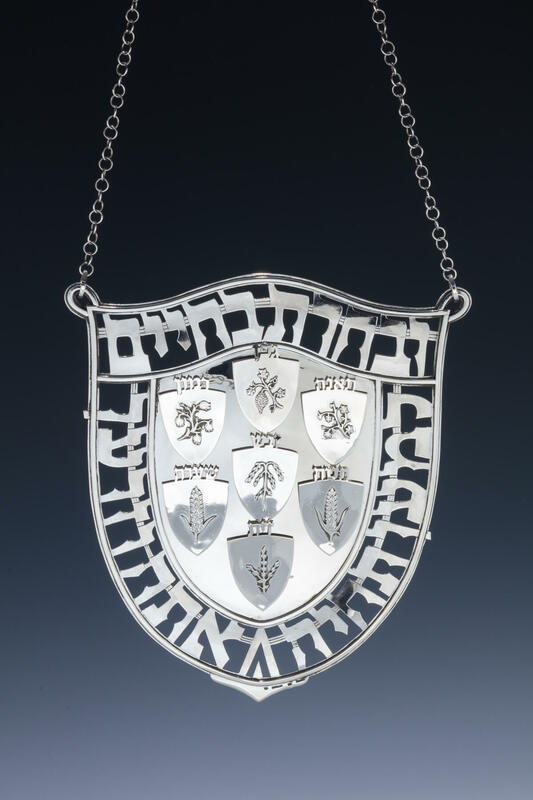 The body formed of shell type structures, each with symbols of the twelve tribes of Israel. Engraved with dedication to 1973. Crown: 11.5” tall. Shield 9.3” tall.